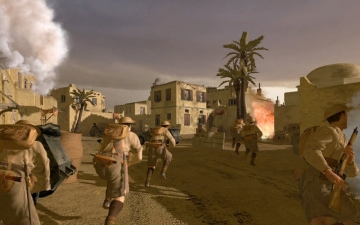 Call of Duty® 2 | Mac App Storeのアプリ検索・ランキング BuzzMac! 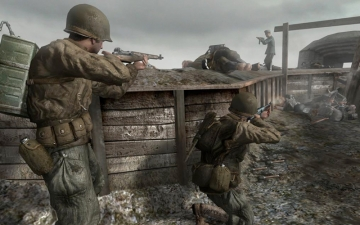 Fight some of WWII's most epic battles looking through the eyes of ordinary soldiers. 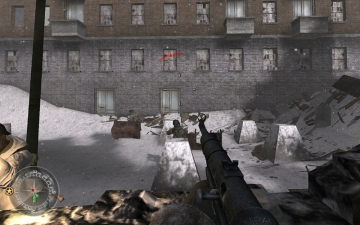 before, thanks to the stunning visuals of the Call of Duty 2 engine. 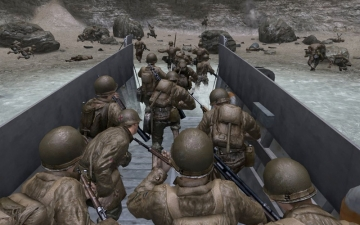 Call of Duty 2 provides an amazing experience with all-new enhancements, ranging from stunningly realistic graphics to seamless gameplay, a new engine, groundbreaking AI, and choice-based innovations that allow players to experience the closest thing they’ll ever get to real warfare. 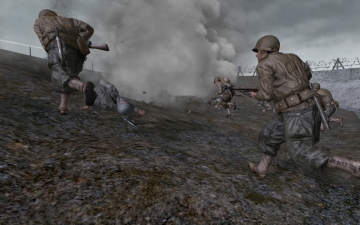 Beautifully rendered snow, rain, fog and smoke, combined with dynamic lighting and shadows, make this the most intense WWII first person action title yet. Operating System: Mac OS X 10.6.8 CPU Processor: Intel chipset CPU Speed: 1.8 GHz Memory: 512 MB or higher Hard Disk Space: 4.0 GB free disk space Video Card (ATI): Radeon X1600 Video Card (NVidia): GeForce 7300 Video Memory (VRam) : 128 MB or higher Multiplayer: Internet (TCP/IP) and LAN (TCP/IP) play supported. Internet play requires broadband connection. © 2017 Activision Publishing, Inc. Activision and Call of Duty are registered trademarks and United Offensive is a trademark of Activision Publishing, Inc. All rights reserved. Developed by Gray Matter Interactive, Inc. This product contains software technology licensed from Id Software (“Id Technology”). Id Technology © 1999-2017 Id Software, Inc. The ratings icon is a registered trademark of the Entertainment Software Association. Aspyr is a registered trademark of Aspyr Media, Inc., and the Aspyr star logo is a trademark of Aspyr Media. Mac and the Mac logo are trademarks of Apple Computer, Inc., registered in the U.S. and other countries. All other trademarks and trade names are the properties of their respective owners.